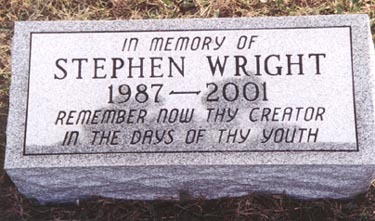 Stephen's Memorial in Hartsville Park. Will not be forever lasting. His heart was prepared and ready. Embraced us and kept us steady. Of death that comes without warning. But many are still ignoring. Of God while he gives us hearing. Face the darkness without fearing.